Timecamp is a project management tool that offers a project manager to manage all the functions seamlessly. The software is applicable for Individuals, teams or companies. It is a time tracking and invoicing software that not only tracks time but also manage expenses to make profits. Timecamp keeps records of every group member to observe the precise ratio of productive hours to non-productive time. The app makes sure the each moment of working hours is noted and which is available later for reporting. Timecamp is enriched with many major and minor features to make the day useful in all aspect. It helps an individual to monitor his schedules and deadlines. The presented timesheets in the app show the places or websites a user have been for a particular time-period. The user can see the sheets in textual or graphical format; that too with customized time order. A user is allowed to see each and every timesheet in details as per the project and task assignment. Here the user will allow seeing the time report as per the filter he/she selects. It can be sorted by the summary, or by days, or according to project budget, by billable and invoiced, etc. The generated report will be showing the whole framework of the time of user activity. This interface is straightforward and present in easy to understand format. It contains all important widgets to know the user’s time consumption in a practical way. From goal results to graphical representation of time usage is displayed in the dashboard which clears the vision and engages the user’s focus on taking more productive decisions. 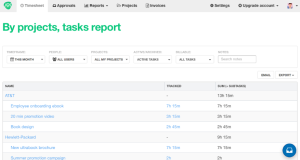 Make projects or task or subtask with a single click in the app. The interesting fact here is, Rules (keyword) that is added by the user. Timecamp will automatically switch to the linked task when the desktop app finds the rule/keyword in any window title or document name. 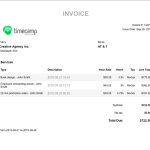 Time sheets and reports of billed hours helps a user to create a professional looking invoice effortlessly. 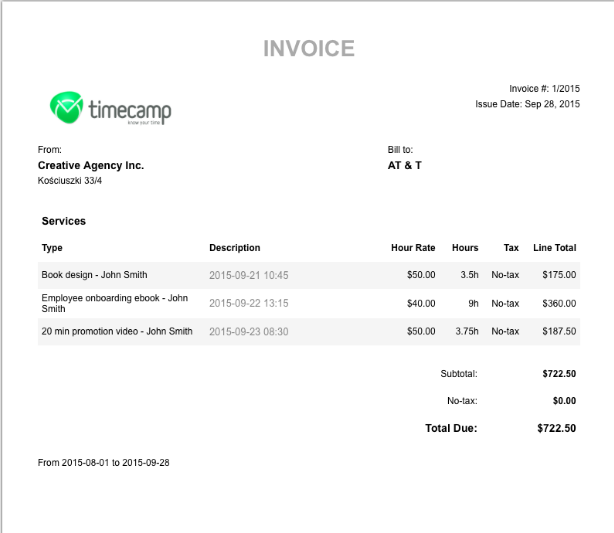 Timecamp also has automatic invoicing based on hours. It generates a notification when a client sees the invoice and integrates payment getaways. The app helps in the management of each employee by the attendance feature. It allows a user to track the productive hours spent by an employee, the time s/he logged in till the end of working hours, and also the holidays or days off. This Work time Analysis displays the tracking against the anticipated measures, to track them down accurately. Besides online time tracking the app also offers offline tracking system that shows the time periods list spent away from the computer. It helps the admin to take into account both the online and offline hours used for a project. 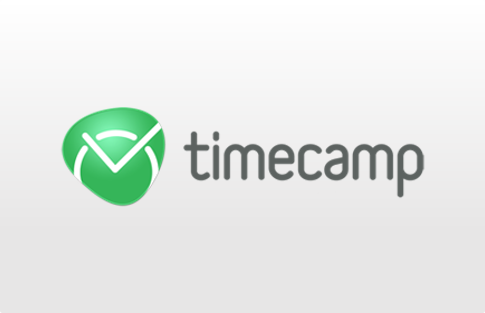 Timecamp comes with the mobile app as well, ensuring seamless portability across devices. 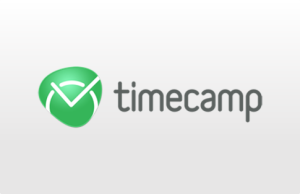 Timecamp offers integration with a lot of apps like Trello, Podio, Basecamp, Asana, Calendar, Xero, Insightly, Wunderlist and much more. With Timecamp make every second of working day a notable contribution to success. The app provides the capability to note how is the day spent and the amount of time wasted. Timecamp is an easy to use and affordable tool for businesses and individual that converts the effective efforts into beneficial outcomes. For more detail, please visit Timecamp website.